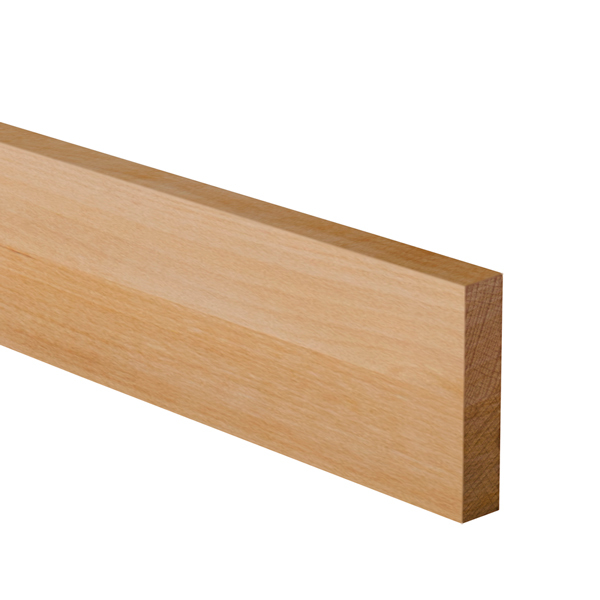 Our solid birch upstands are constructed using staves of the same high-quality timber as our birch worktops and are ideal for finishing wood worktop installations. A birch worktop upstand creates an elegant join between the worktop and an adjacent wall, and is a great alternative to tiling down to the surface of your worktop. Worktop upstands are also recommended for hiding the small 5mm expansion gap that is necessary between the worktop and wall, which allows the wooden worktop to expand and contract with changes in environmental temperature. Birch kitchen upstands are also highly beneficial for fitting timber worktops against uneven walls, as they conceal any small gaps that would otherwise become apparent. Unlike other kitchen worktop upstands you may find, our birch upstands are supplied with perfectly square edges and can therefore be fitted immediately after treatment to create a chunky square-edged look. If you would like to find out more about the importance of purchasing a quality upstand, read our dedicated information guide.